Orbit insertion and separation of the 7170 kg spaceship from the Blok-I third stage was at 06:20:23 UTC. Soyuz TM-21 entered an 88.61 min, 190 x 220 km x 51.65 deg orbit. Two burns at 09:46 and 10:45 UTC raised the orbit to 89.89 min, 231 x 306 km. 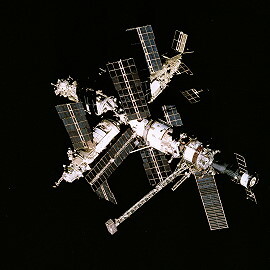 A small phasing burn was carried out the following day at 07:09 UTC, and then two final rendezvous burns raised the orbit to 92.43 min, 390 x 396 km, matching that of the Mir station. Following a two day solo flight Soyuz TM-21 docked with the Mir space station on March 16, 1995. The resident crew was exchanged. 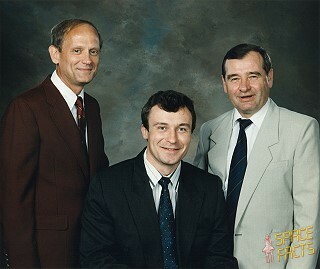 The three cosmonauts became the 18th resident crew. 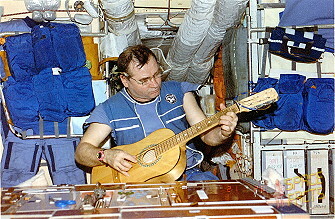 Norman Thagard became the first U.S. astronaut onboard the Mir space station. 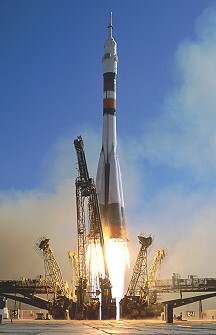 The Soyuz TM-20 made a safe landing at about 50 km from the city Arkalyk in Kazakhstan on March 22, 1995 at 04:04 UTC. Soyuz TM-20 landed only 10 km from the estimated aiming point. The return operation was executed as planned: On March 21, 1995 at 21:35 UTC closing of the hatches, March 22, 1995 at 00:40 UTC separation from the Mir station, 03:15 UTC starting engines to reduce speed to start descent and a safe landing at 04:04 UTC. In the hour before the landing (between 03:06 and 03:49 UTC) radio traffic of Soyuz TM-20 with TsUP via Mir and Altair could be monitored. Aleksandr Viktorenko and Yelena Kondakova reported the operational data. Separation of motor compartment and life compartment occurred at 03:39:55 UTC. From 03:40 UTC radio silence caused by the plasma-heath. When the crew landed, Valeri Polyakov was onboard and became the world record holder (438 days in space in one flight). On April 09, 1995 at 21:33 UTC Progress M-27 was launched from Baikonur for a flight to the Mir space station. Progress M-27 had to deliver to the Mir complex the normal cargo (food, fuel, water, spare parts, experiments, etc.) a small satellite named GFZ-1. GFZ-1 is a spherical satellite with a mass of 20 kg and a diameter of 20 cm. GFZ-1 has been constructed by the German firm Kayser-Threde (Munchen) and was used by the Geoforschungszentrum Potsdam for geodetic experiments by laser reflectors. GFZ-1 made it possible to deliver highly accurate measurements of the Earth's gravitation field. Shortly the Mir crew launched GFZ-1 for its autonomous flight of two years. 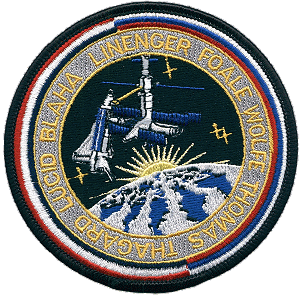 Progress M-27 docked with Mir on April 11, 1995 at 21:00:44 UTC, undocked on May 22, 1995 at 23:42:37 UTC and was destroyed in reentry on May 23, 1995 at 03:27:52 UTC. 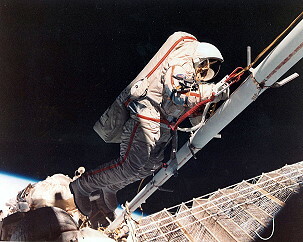 Vladimir Dezhurov and Gennadi Strekalov performed the first EVA on May 12, 1995 (6h 15m). 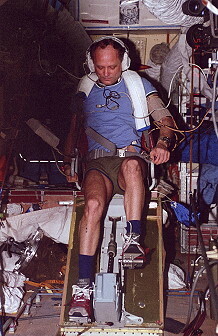 For a time it appeared that the first EVA might be delayed by injury; Gennadi Strekalov cut his hand while working inside the Mir station, and the cut became infected. Rumor had it that Norman Thagard might replace him, but this was vehemently denied by TsUP spokesmen, who stated that Norman Thagard lacked specialized EVA training. On May 02, 1995 the cosmonauts inventoried and marked cables for use in the EVA. On May 05, 1995 they reviewed a training video, and on May 06, 1995 and May 07, 1995 prepared their Orlan-DMA space suits. On May 07, 1995 and May 08, 1995 the cosmonauts and TsUP performed communications checks. 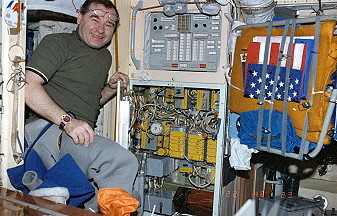 Vladimir Dezhurov and Gennadi Strekalov conducted a tool familiarization simulation in the depressurized Mir transfer compartment on May 10, 1995, during which a problem with the radio transmitter in one suit surfaced. The cosmonauts spent the four days prior to the EVA almost exclusively on EVA preparations. Norman Thagard assisted and did life sciences research. The joint U.S.-Russian crew took breaks to load Progress M-27 with trash prior to its scheduled undocking on May 21, 1995. 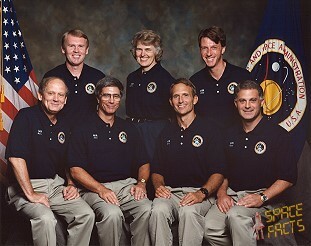 On this date all was at last ready for the EVA, which was planned to last 5 hours, 20 minutes. 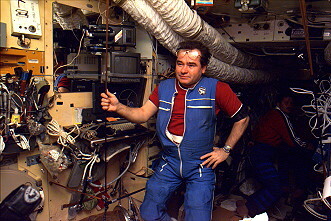 Norman Thagard, inside Mir, read instructions to Vladimir Dezhurov and Gennadi Strekalov when the station was out of contact with the TsUP. The cosmonauts changed wiring on Kvant to prepare for transfer of the 12.2-m (40-ft) Kristall arrays, then moved to Kristall and practiced folding three small panels of one array. Each array had 28 such panels. Removal of the U.S.-built TREK space exposure experiment (a 20-minutes procedure) was planned, but had to be postponed when the EVA ran 15 minutes past the safe limit. The cosmonauts were reported to be very tired after the EVA, so they rested all day May 13, 1995. Both cosmonauts left the station on May 17, 1995 (6h 42m) for the second spacewalk. 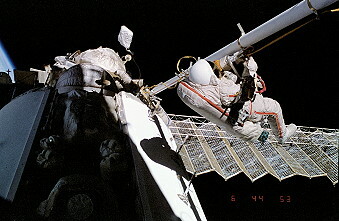 During this EVA the cosmonauts had to fold up the solar panel on Kristall, to disconnect contacts and drivers, install the 'cargo' on the Strela crane en transport this and Gennadi Strekalov to Kvant1. Gennadi Strekalov folded the panel assisted by Norman Thagard who was inside the complex and gave commands to switch off and on servomotors. After every 'movement' caused by these servo's Gennadi Strekalov could fold the next section. Gennadi Strekalov worked on the panel, Vladimir Dezhurov steered the Strela. For the 'fold-up' operation the cosmonauts used more time than was expected. They also spent a lot of time to reach the necessary spots. The cosmonauts could not fully accomplish their task due to the limited endurance of their spacesuits. They left the package behind on the outer surface of Kvant1 and returned to the airlock. On May 19, 1995 Norman Thagard reported that he injured his right eye during an 'experiment with an expander'. During the days there after Norman Thagard regularly complained about his eye and TsUP advised him which medicines he had to swallow. Meanwhile the eye seems to be recovered for when there is question about this problem Norman Thagard and his colleagues said that all is normal. The third EVA by Vladimir Dezhurov and Gennadi Strekalov occurred on May 22, 1995 (5h 15m). The third EVA was scheduled to last 6 hours, 15 minutes. 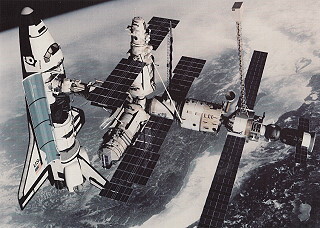 An electricity shortage interfered with communication between Mir and the TsUP during the EVA. There was insufficient power for TV through the Altair geosynchronous satellite. Despite this, Gennadi Strekalov and Vladimir Dezhurov succeeded in installing the array moved on May 17, 1995. Norman Thagard then commanded the array to unfold, restoring Mir's electrical supply. The spacewalkers closed 13 of 28 segments on the second array so it could continue to produce electricity while leaving sufficient clearance for Kristall to be repositioned. Progress M-27 undocked from the front port on May 23, 1995 to make way for Spektr. On May 28, 1995 both cosmonauts performed the fourth EVA, in fact an SEVA, (0h 21m). During this EVA a docking cone was moved from the -Y axis port to the -Z axis port. This was for the docking of Spektr on June 01, 1995. After some time the Spektr was moved 90 degrees to one of the X-axis ports to make place for the Kristall to be placed on the -Z axis port to enable the STS-71 to dock in June 1995. The cosmonauts wore space suits but remained inside the forward transfer compartment and never ventured outside Mir. Nevertheless, most sources consider this and the other Konus transfers to be EVAs. Vladimir Dezhurov and Gennadi Strekalov entered the transfer compartment, sealed the hatches linking it to Kristall, the core module, and Kvant2, and dumped its air. They then removed the Konus #2 drogue from the -Y port, closed the port with a hinged flat plate door, opened an identical door on the -Z port, and installed the Konus unit. Their task completed, they repressurized the transfer compartment and rejoined Norman Thagard inside the base block. The 20-tons technological module Spektr docked automatically and without any problems at the forward docking port (-X axis) of the transition section of Mir on June 01, 1995 at 00:56:16 UTC. At 00:48 UTC Gennadi Strekalov reported the distance to Spektr: 15 meters. He also stated that the final approach was about to begin. TsUP ordered the crew to do camerawork. The crew got orders to observe an operation with a solar panel: this had to be folded or retracted to become a little bit shorter. 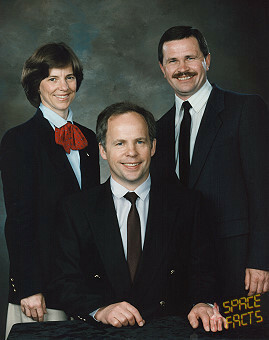 This successful docking means that the major obstacle on the way to the docking of STS-71 in June 1995 has been taken. 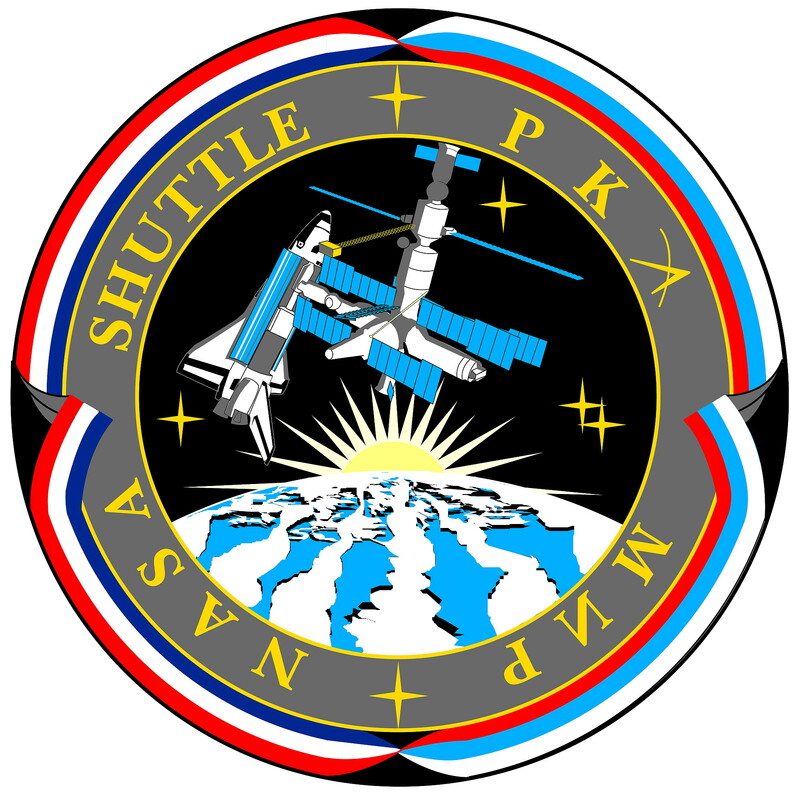 The arrival of Spektr is very important for further Mir operations and the co-operation with the Americans not only for the module itself but also for the indispensable cargo to be delivered by Spektr. The Spektr module, the fifth Mir component to attain orbit, was primarily designed for Earth observation (specifically natural resources and atmospheric studies). The module also carried US/Russian equipment for material science, biotechnology, life sciences, and space technology studies. A small airlock and manipulator arm was also available to attach small external experiments and deploy small satellites. The module's total pressurized volume was 62 cubic meters. It had a mass of 19.6 tons, a length of 9.1 m, and a maximum diameter of 4.35 m.
Balkan 1 lidar - measured upper cloud altitude, 5320 angstrom laser source, 4.5 m resolution; Phaza spectrometer - surface studies, examined wavelengths between 0.340-285 micrometer, and provided 200 km resolution; Astra 2 - monitored atmospheric trace constituents, Mir environment; Taurus/Grif - monitored Mir's induced X/gamma ray background; KOMZA - interstellar gas detector; 286K binocular radiometer; VRIZ UV spectro-radiometer; EFO 2 photometer; MIRAS absorption spectrometer - measured neutral atmospheric composition. 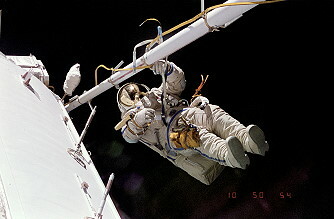 The fifth and final spacewalk, in fact an SEVA, by Vladimir Dezhurov and Gennadi Strekalov occurred on June 01, 1995 (0h 23m). 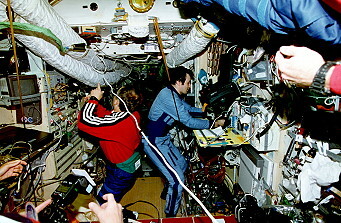 The cosmonauts closed hatches leading to the Mir base block, Kvant2, Kristall, and Spektr (which docked at the Mir front port on June 01, 1995), depressurized the transfer compartment. During this EVA they replaced the docking cone from the -Z to the -Y axis. This operation was executed quickly and successfully (so also the 'Lyappa' of Spektr is reliable) on June 02, 1995 from 19:52 - 21:50 UTC. The Spektr has been moved from the -X axis (axial forward port of Mir) to the -Y axis. So the forward port is now available to receive the Kristall (Module-T). Redocking of Kristall was put back. This operation was on schedule for the night from June 06, 1995 but has been postponed to the period from June 15, 1995 - June 18, 1995. The Russians said that this was necessary due to activities with a higher priority. It might be possible that this has something to do with the airseal problems arose after the redocking of Kristall in the night from May 29, 1995. That night Vladimir Dezhurov reported a dropping pressure in Kristall or the transition section. This might be caused by a minor leakage in the joint between Kristall and the transition section. After 1 hour and 8 minutes the pressure dropped from about 700 mm to 469 mm. Whether this problem has caused the postponement of the redocking of Kristall has not been confirmed thus far. That there was a problem with the air pressure has been confirmed officially. Spokesmen also stated that extra oxygen and nitrogen has to be delivered to the complex to replenish the loss of air during the recent EVA's. A sixth spacewalk was cancelled on June 17, 1995 because the cosmonauts did not have the right tools for their tasks and doing the job with the tools now at their disposal would be too risky. 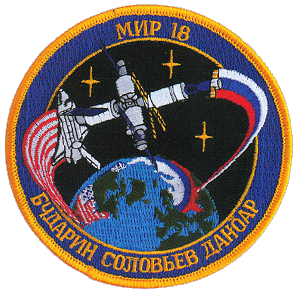 Docking of STS-71 with Mir occurred at 13:00 UTC, June 29, 1995. STS-71 and Mir were linked by an orbiter docking system (ODS). The $95.2-million orbiter docking system consisted of an external airlock, a supporting truss structure, a docking base, avionics required to operate the system, and a 632-pound (286.7 kg) Russian-built docking mechanism, called the androgynous peripheral assembly system (APAS), which was mounted on top of the airlock and docking base. Atlantis received extensive wiring changes to accommodate the new system, which measured nearly 15 feet (4.57 meters) wide, 6-½ feet (1.98 meter) long, and 13-½ feet (4.11 meters) high and weighed more than 3,500 pounds (1,587 kg). It was installed near the forward end of the orbiter's payload bay and was connected by short tunnels to the existing airlock inside the orbiter's pressurized crew cabin and the pressurized Spacelab module, which was aft of the airlock in the payload bay. The ODS worked flawlessly during the docking sequence. The APAS was a hybrid version of the docking system the Russians used in 1975 for the Apollo-Soyuz Test Project. It differed from its predecessor in several key respects. First, it was much more compact, with an overall external diameter of 60 inches (152 centimeters) compared to 80 inches (203 centimeters) on ASTP, although the inner egress tunnel diameter remained approximately the same. Second, the APAS docking mechanism had 12 structural latches, compared to eight on the ASTP. Third, the APAS guide ring and its extend/retract mechanism were packaged inside the egress tunnel rather than being outside of the mechanism as they were on ASTP. Finally, the three guide petals on the APAS pointed inboard rather than outboard. Both Atlantis and Mir were equipped with an APAS, which consisted of a three-petal androgynous capture ring mounted on six interconnected ball screw shock absorbers, which operated like a sophisticated car suspension system. The absorbers arrested the relative motion of the two vehicles and prevented them from colliding. When linked, Atlantis and Mir formed the largest spacecraft ever in orbit, with a total mass of about 225 metric tons (almost one-half million pounds), orbiting some 218 nautical miles (404 kilometers (251 mi)) above the Earth. After hatches on each side opened, STS-71 crew passed into Mir for a welcoming ceremony. 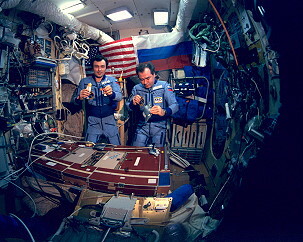 With the Russian and U.S. flags as a backdrop, the STS-71 and Mir crews exchanged gifts on flight day four in the Shuttle's Spacelab module. Gifts included a halved pewter medallion bearing a relief image of a docked Shuttle and Mir space station; the two halves were joined during the ceremony. A 1/200th-scale model of the Shuttle and the Mir also was joined. These gifts were presented to the U.S. and Russian Heads of State and the leaders of the two space agencies after the mission. For five days, about 100 hours in total, joint U.S.-Russian operations were conducted, including biomedical investigations, and transfer of equipment to and from Mir. 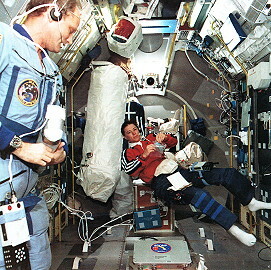 Fifteen separate biomedical and scientific investigations were conducted, using the Spacelab module installed in the aft portion of Atlantis's payload bay, and covering seven different disciplines: cardiovascular and pulmonary functions; human metabolism; neuroscience; hygiene, sanitation and radiation; behavioral performance and biology; fundamental biology; and microgravity research. 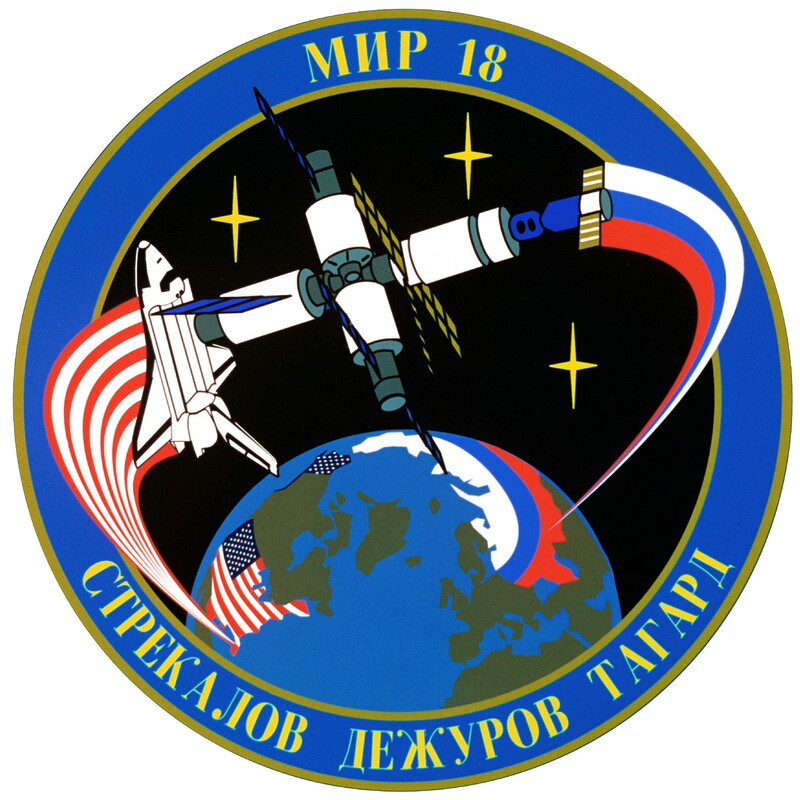 The Mir-18 crew served as test subjects for investigations. Three Mir-18 crew members also carried out an intensive program of exercise and other measures to prepare for re-entry into gravity environment after more than three months in space. Numerous medical samples as well as disks and cassettes were transferred to Atlantis from Mir, including more than 100 urine and saliva samples, about 30 blood samples, 20 surface samples, 12 air samples, several water samples and numerous breath samples taken from Mir-18 crew members. Also moved was a broken Salyut 5 computer. Transferred to Mir were more than 450 kilograms (990 lb) of water generated by the orbiter for waste system flushing and electrolysis; specially designed spacewalking tools for use by the Mir-19 crew during a spacewalk to repair a jammed solar array on the Spektr module; and transfer of oxygen and nitrogen from Shuttle's environmental control system to raise air pressure on the station, to improve Mir's consumables margin. Joint scientific investigations by the two premier spacefaring nations continued with the flight of STS-71, the Spacelab-Mir mission, providing more knowledge about the human body and the microgravity environment. 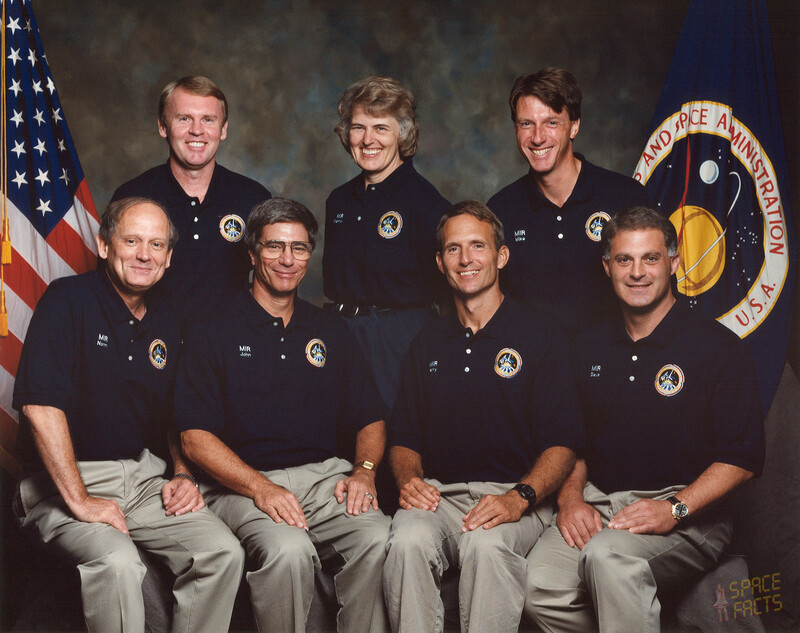 Research in seven different medical and scientific disciplines begun during Mir-18 was concluded on STS-71. 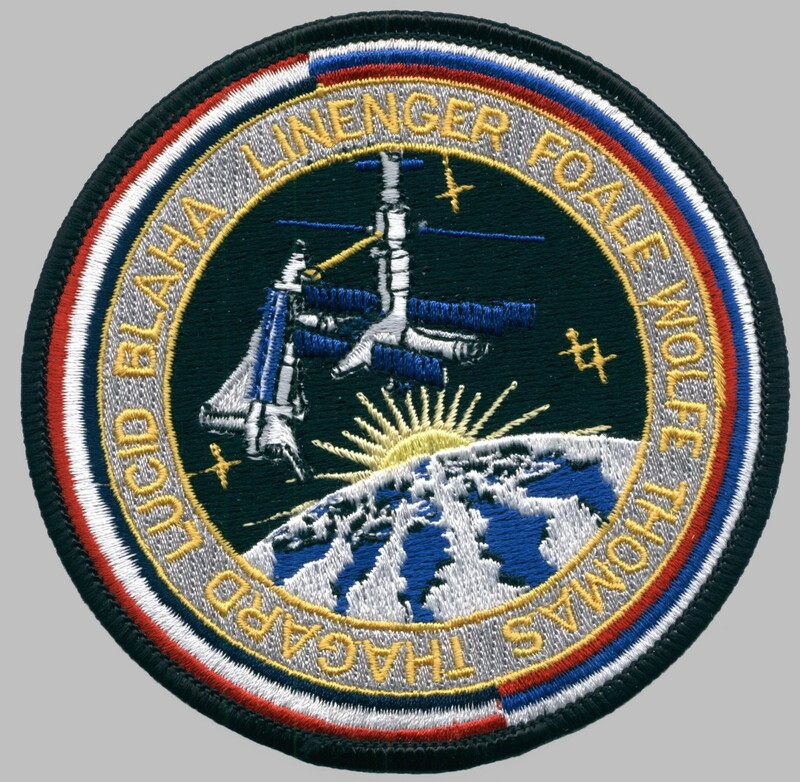 Of the 28 experiments being conducted as part of the joint United States-Russian cooperative effort, 15 were performed as part of the STS-71 mission. The metabolic research on STS-71 included studies of the cardiovascular and pulmonary systems; neurosensory research; hygiene, sanitation, and radiation research; behavior and performance research; fundamental biology research; and microgravity research. Deconditioning of the cardiovascular and pulmonary system, with the occurrence of orthostatic intolerance (or lightheadedness upon standing) observed in returning crew members of long duration spaceflight is of primary interest to researchers. Researchers measured changes in blood volume during flight and the pooling of blood in the legs and abdomen upon reentry. Investigations in neurosensory research begun during Mir-18 focused on the mixed messages the body receives when the brain integrates nerve impulses from the eyes, inner ear, muscles and joints. The brain can no longer rely on gravity as a constant in determining body position and orientation. Two of these studies seek to enhance our understanding of how humans adapt to spaceflight and readapt to Earth's environment. Two investigations in hygiene, sanitation, and radiation research looked at the radiation environment experienced during an extended stay in space, and two others looked at the presence of microbes or trace chemicals found in the air and water consumed by the astronauts. Data from tests to study the long-term effects of microgravity on muscle coordination and mental acuity, collected during more than three months on Mir-18, were returned to Earth aboard Atlantis. A Russian spacecraft control simulator used before, during and after flight, allowed researchers to measure crew member's functional state and manual control performance. STS-71 studied how weightlessness affects embryo development by returning to Earth a set of pre-fertilized quail eggs incubated on board Mir. The incubation process was stopped at various stages of development, and the embryos placed in a fixative solution for later analysis. Improved sensors were carried to orbit by Atlantis to be added to the Mir station greenhouse by the Mir-19 crew. The updated greenhouse will then was ready for plant experiments on future NASA-Mir missions. STS-71 carried several hundred protein samples, frozen in a thermos-bottle-like vacuum jacket or dewar, to the Mir space station. After they thaw, the proteins crystallized until the dewar is retrieved by the STS-74 crew in November 1995. The months-long growing time aboard Mir should produce large protein crystals of sufficient size and quality to compare with corresponding crystals grown in Earth-based laboratories. The Mir experiment was used to evaluate the effectiveness of flash-frozen bath and liquid-liquid diffusion techniques for growing protein and virus crystals on long-duration space missions. Experience gained will help shape PCG investigations to be conducted aboard the International Space Station. The Mir resident crew was exchanged. 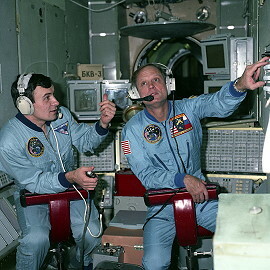 Anatoli Soloviyov and Nikolai Budarin became the 19th resident crew. The former 18th resident crew (Vladimir Dezhurov, Gennadi Strekalov, Norman Thagard) returned to Earth with STS-71. After over 100 hours of docked operations, the hatches were closed on both Atlantis and the Mir, and the vestibule in the Shuttle's docking system was depressurized. The initial separation was performed by springs that slightly pushed the Shuttle and the Mir away from each other on a command sent to the docking mechanism from an aft flight deck control panel in Atlantis. Both the Mir and Atlantis were in a mode called "free drift" during the undocking, a mode that has the steering jets of each spacecraft shut off to avoid any inadvertent firings. 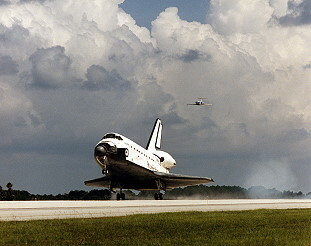 STS-71 left Mir on July 04, 1995.